Vancouver is a bustling and vibrant city on the west side of Canada, situated in the province of British Columbia or BC as is known to the locals. Stand at the harbour and take in the view of the snow topped mountains in the distance and be amazed at just how clean the city is – for me it is a city that always presents itself with assured confidence. The Vancouver skyline is graced with modern high rise office buildings, art galleries, cute museums and a feast of restaurants to tickle everyone’s tastebuds, Vancouver is a city of diverse choice and gentle ambiance. Canadians are known for their healthy outlook on food and as a country, they were way ahead in offering organic food and food to cater for dietary requirements. It is believed the USA seem to ‘borrow’ a lot of healthy food trends from their close neighbours. We all want choice, but cities can feel overwhelming. 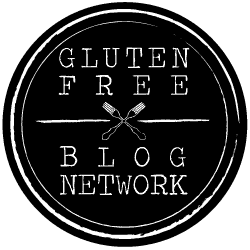 For gluten free food lovers, finding the best eateries can be exhausting and frustrating! I love the thrill of a new city, the anticipation of what food I will devour as well as the possibility of finding a recipe or dish I have not eaten before. For me, Gluten free food is about the ingredients! Eating a great meal has the ability to make me feel like I am not missing out, my taste buds should not have to pay the price just because I cannot eat a ‘breadstick’ or an exquisite dish of the day – ‘lobster ravioli’. Just because I am gluten free does not mean my food has to taste or look any different to anyone else’s – Right? I am happy to fall across awesome places to eat when I visit a new place, but there is nothing like a few recommendations to aid my decision, especially when I am hungry and just want to eat. Vancouver offered so many great places to eat and is a city with diverse cultures, all of which certainly offered an eclectic mix of food. I have carried out some of the hard work (tasting, devouring and generally eating lots of food) for you, so please check out my list of fabulous places I felt worthy of a place in gluten free Vancouver. Breakfast can mean a quick snack, a full meal or just a great coffee; whatever you fancy the below should keep you satiated! Edible Flours – Cute name huh! A vegan cafe that offers an amazing range of delicious, freshly baked treats. The staff were amazing and you will be in awe of their menu, everything is clearly labelled and you will be in awe of just how lovely everything looks and tastes! The Wallflower – A fresh and bright atmosphere, pretty china and an impressive menu make this place a perfect place for brunch. Known for their vegan, gluten free Mac N Cheese, you can also delve into delicious breakfasts such as gluten free french toast! I cannot fail to mention Culprit Coffee, Vine St (at W 4th Ave) and Sophie’s Cosmic Cafe, 2095 W 4th Ave (at Arbutus St) Vancouver. Both offering lovely, delicious treats! Vancouver seems to love pizza and the gluten free options were pretty impressive. The chefs of Vancouver are vying for gluten free dough perfection! However, not all of us want to feast on dough, so the below eateries cater for everyone’s cravings. The Parlour – Sounds milky but do not be fooled! Yep with gluten free pizza in plentiful supply, this dark, edgy restaurant offers wood furniture and gluten free food worthy of a stop. Not the cheapest spot for a pizza, but worth a stop if you have that carb craving. Staff can be a bit ‘moody’ but that adds to the experience of its edgy interior! Milestones – A gluten free chain restaurant! A huge menu with salad, burgers, pasta and much more on offer you really will be spoilt for lunchtime eating. A modern and friendly atmosphere that serves up really great food! Breakfast, brunch and dinner options looked good. Three locations throughout Vancouver will make sure you are always close to one too. Need a couple more options? Check out Bandidas, 2781 Commercial Dr for Mexican nosh or when the urge for fast food strikes take a stroll to SMAK, 1139 W. Pender St. Fresh & 545 Granville St, a modern and an impressive healthy fast food joint. Gluten Free Dinner is served! There are so many restaurants for dinner in Vancouver, there really was not enough time to try out nearly as many as I would have liked. However, the below are a pretty good place to start! Get your glad rags on and get ready to eat. The Acorn – A well-known gluten free restaurant in Vancouver and one well recommended. Feast on raw healthy dishes or feel comforted by heart warming roasted gnocchi. Not cheap but definitely worth the splurge. A great place for a special occasion. Forage – The name alone left me with anticipation at how awesome this place would hopefully be! I was not disappointed. Locally sourced ingredients, knowledgeable staff, creative menus and chilled ambiance certainly delivered an awesome dining experience. Book in advance as this place gets busy! Great breakfast menu too. Vancouver has traditional British afternoon tea well covered and there are so many little tea shops offering the best gluten free afternoon tea I have experienced. The below were just a couple I had time to enjoy, all in the name of research of course! Vancouver is a city you can be happy that you will not go hungry! Explore, enjoy and take in the view from the harbour side – then go eat!